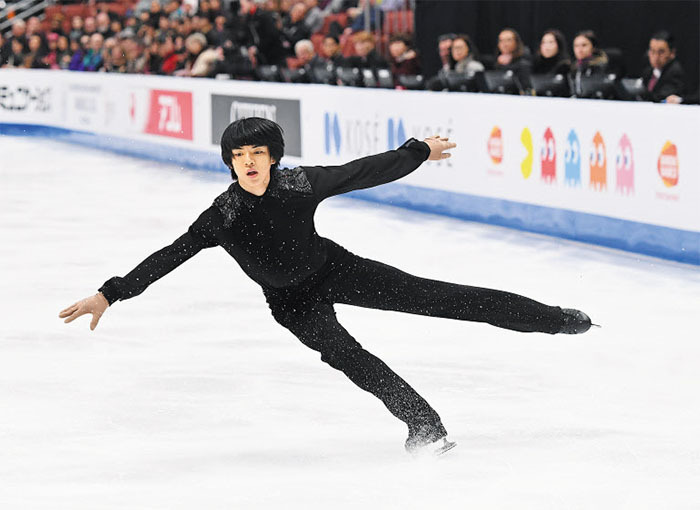 Cha Jun-hwan finished in sixth place at the Four Continents Figure Skating Championships in Anaheim, California on Saturday. After being in second place in the short program the day before, Cha began the day with his eyes on the podium. 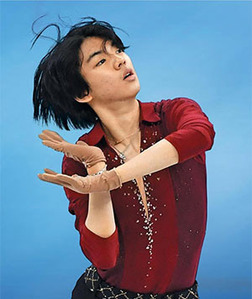 But he slipped down the rankings after making several mistakes in the free skate. Cha finished with a combined score of 255.83 points. Shoma Uno of Japan, a silver medalist at the 2018 Winter Olympics in Pyeongchang, won the gold medal with a total score of 289.12 points, and Jin Boyang of China finished second with 273.51 points. Vincent Zhou of the U.S. settled for the bronze medal with 272.22 points. Cha had hoped to become the first Korean to win a medal at the Four Continents since figure-skating star Kim Yu-na won the gold medal in women's singles in 2009. Cha now will prepare for the World Figure Skating Championships in Saitama, Japan, which will be held in late March. Two strong contenders who skipped the Four Continents, two-time Olympic champion Yuzuru Hanyu of Japan and reigning World champion Nathan Chen of the U.S., will compete this time. "I want to do my best and remain injury-free at the World Championships," Cha said.